Olivia Brumley is a junior at GCHS and is super excited for this upcoming school year. 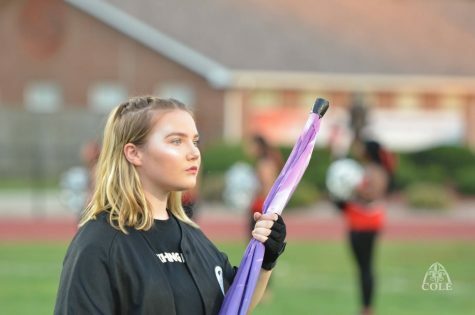 Olivia is best known as a member of the Granite City Marching Warriors Color Guard, a Job Shadow participant, an ALPHA peer leader and a peer tutor. Anytime she’s not on the band field spinning, you’ll see her at Uncle Linny’s Food and Brews sitting customers at their tables or taking their drive thru orders. In her free time, Olivia enjoys listening to music, reading and spending time with her friends. Come out to the Friday night home games to watch her perform!